Business interruption insurance is a key risk management strategy for small businesses. For business owners, these can be the best or worst of times. It can be the best of times if you are running your business well, finding a niche in which you can thrive and experiencing success. However, the worst of times can be inflicted upon you by outside forces: crime, weather or some other power beyond your control. Unfortunately, we see it time and again. Over the past year, we’ve seen businesses trashed by civil disturbances in Ferguson, Missouri, and Baltimore, Maryland. While 2014 was a relatively benign year for hurricanes in the United States, they still caused tens of millions of dollars in damage. Last year there were at least 831 confirmed tornadoes in the United States according to the NOAA. Now as we head toward summer, we’re looking at the start of another tornado season in the Midwest, and hurricane season in the Southeast. While we hope these events will not occur, hope is not a strategy. A forward-thinking business prepares for potential calamity while hoping it never comes. Unexpected events can happen anywhere, at any time, and could deal your business a crippling blow. According to the Small Business Administration, as much as 60% of small businesses never reopen their doors following a disaster. Small businesses are frequently underinsured and many do not carry sufficient business interruption coverage. Whether it’s protests that get out of control, flooding caused by a hurricane, wind damage from tornados or the rising tide of cybercrime, businesses need to prepare for business interruption. Unfortunately, many small- to medium-sized companies fail to take time to do the needed scenario planning to protect their interests from disasters, and yet their survival may be at stake. Business interruption insurance has become an essential risk transfer tool. Coverage provides resources that aid in recovery following a catastrophic event and can help get a company back on its feet quickly, enabling it to pay staff, meet credit obligations, and provide peace of mind for employees and shareholders. Here’s how business interruption insurance works: Coverage is composed of two parts – business income and extra expense. Business income coverage insures net income that would have been earned. “Would” is the key word here because unlike a loss due to physical damage, business income is based on assumptions of what would have happened had there been no loss. 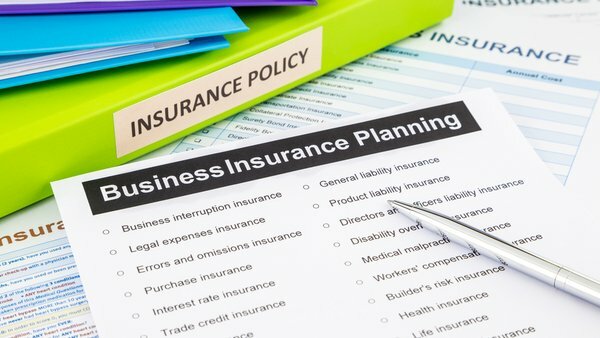 Business income insurance provides coverage for operating expenses that continue even after a loss such as payroll, leases and mortgages, and employee benefits. This insurance is a tremendous incentive for key employees to continue working for the business rather than seeking employment elsewhere. Another component of business interruption insurance is extra expense coverage. This covers potential costs beyond normal operating expenses, including any expense that helps avoid or minimize business downtime and allows operations to continue. For instance, the cost of renting office space at a temporary location would be covered. Relocation expenses and costs to equip and operate a replacement or temporary location are also considered extra expenses. Recent news headlines put the emphasis on an additional component of business interruption coverage that should be considered: civil authority insurance, which covers a loss of business triggered by a governmental action (police commissioner, mayor, state attorney general, etc.) that restricts access to the insured premises. A great example is an ordered evacuation ahead of a hurricane that’s about to come ashore. Determining the exact business interruption coverages your company needs can be a rather complex process. It takes time to do scenario planning and work through the various potential calamities that could befall a business. While many business owners and managers don’t want to consider these pessimistic scenarios, taking a cold, hard look at the possibilities is a smart thing to do. After all, there’s some truth to the title of the business book from former Intel CEO Andy Grove, Only the Paranoid Survive. But don’t consider planning for calamity as paranoia. Think of it as advanced preparation that just might help your business survive if a disaster strikes. Homeowners insurance does not cover damage from floods. Even if your home is NOT in a special flood hazard area (High Risk Zone), you can still suffer from the effects of flooding. Fun Fact: 25% of all flood claims come from low hazard flood zones. Homeowners who want flood protection have two basic choices: Standard or Preferred Risk Policies. 1. Insured building must be a single family dwelling. 2. It is your principal residence, meaning you live in the structure a minimum of 80% of the year. 3. The building coverage is at 80% of replacement cost. Or at the maximum limit of 250k. Preferred Risk Flood Policies were created for homeowners and tenants in low to moderate flood hazard areas. To qualify for a Preferred Risk Flood Policy, you need to own a one-to-four family dwelling or non-residential property in a low to moderate flood hazard area that meets certain requirements. So, when your neighbors are asking, “Who’ll Stop the Rain?” you’ll be the one “Singin’ in the Rain” knowing your home and its contents are covered! What is Assignment of Benefits? Learn what you need to know and avoid the pitfalls of signing the wrong documents. It’s a scene that has been portrayed countless times in movies and on television. A desperate individual in a rush, usually due to an emergency or stressful circumstance, is persuaded into signing a document by the promise of a quick fix to their problem. As the story unfolds, the individual is shocked as the unforeseen consequences of the hastily signed document come to pass. This enduring Hollywood plotline has become a harsh reality for numerous Florida home insurance customers who have signed a document that includes Assignment of Benefits (AOB) language following a household emergency. To prevent becoming the next unwitting star of an AOB drama, please learn how you can protect yourself and your family. Following a pipe leak or other household accident, your first instinct might be to call the proper contractor to help you get your home back to normal – fast! The contractor is ready to start working, but before he begins repairs he asks you to sign some “standard documentation.” He might say something like “I can’t begin working until these documents are signed.” He might even offer to help relieve you of the “burden” or “headache” associated with dealing with your home insurance company. Wanting to resolve the problem as quickly as possible, you sign the paperwork, unaware that it’s an assignment of benefits document or a contract that includes an assignment of benefits clause. Important fact: You should always call your Florida homeowners insurance company first to ensure that your loss is properly documented and maintain control of the process. What Does Assignment of Benefits Mean? So what exactly did you just agree to? By assigning your benefits (claims proceeds) to your contractor, you’ve just signed over all rights to your claim. The contractor is now in total control of reporting the amount of loss to your insurance company and negotiating the payment. You, the homeowner, are no longer in control of your insurance claim. Now that your contractor is in control, he can bill your insurance company for work he hasn’t done, overcharge your insurer, or simply take your proceeds and never even begin working on your home. Either way, you can on the hook to pay for your contractor’s scams. If the inflated bill exceeds what is covered by your homeowners insurance policy, you’re on the hook to pay the difference. The contractor could place a lien on the home, and contractor liens in Florida can be enforced by foreclosure. This type of fraud, while extremely costly to individual homeowners who’ve fallen victim to the scam, affects all Florida homeowners. Fraud is currently one of the primary drivers in home insurance premium costs. AOB fraud is far from a victimless crime! Good to know: Although AOB scams are often associated with water extraction claims, unscrupulous roofing contractors are a growing source of AOB fraud. • Following water damage or a home emergency, the first call should be to your homeowner’s insurance company. They can refer a licensed, experienced and reputable contractor. This will also help expedite your claims process. • Never partner with a contractor who requires you to sign an assignment of benefits document. • Ask the contractor for proof of liability insurance. • Never sign a document you don’t fully understand. When in doubt, call your homeowners insurance company for help. • In the event of a family member’s home emergency, make sure to tell them not to sign anything that requires them to assign their benefits to a contractor. Leave nothing to chance: discuss with your contractor the repair or replacement of doors, windows, trim, wall coverings, flooring and other structures. Everything that goes into a project should be put in writing. Make sure your selections are documented and are included as part of the contract. Doublecheck the plan. Check measurements and make sure all of the electrical and plumbing requirements are what you need. If you have any questions, ask your contractor early in the process. You should have a clear understanding of what is involved to repair or replace the damage to your home. It is a good idea to consult with legal counsel to review the proposal the contractor provides you. An experienced attorney will be able to identify if any information is inaccurate or missing. So your heart’s set on driving off the dealership lot with the top down and the sun on your face, the envy of each onlooker you pass. But, have you checked in with your insurance agent about the cost of insuring a convertible? You may think it’s only a myth that convertibles are expensive to insure, but, in many cases, there’s some truth to the notion. Car insurance rates can vary greatly from vehicle to vehicle. In general, the more your car is worth, the more it will cost to insure. Convertible cars cost more to purchase than a similar model with a fixed top and not just because they’re so fun drive. It’s because they have added safety features and additional moving parts that operate the top. Therefore, convertibles can also cost more to insure. If your convertible just so happens to be a sports car with a V6 or V8 engine, too, you should expect to possibly pay more for car insurance. Cars with a higher top speed are at greater risk of a high-speed collision. Slicing open your convertible top may be an act of vandalism, a way for thieves to steal items from inside your car or a way to make off with the car itself. Because of these soft-top risks, convertibles may cost more to insure. The weight of your vehicle can factor into your car insurance premiums. A retractable hardtop adds considerable weight, and possibly insurance costs, to your vehicle. Of course, many other factors influence how much you’ll pay to insure a convertible. These include your age, your driving history and the amount of driving you do. So, don’t skip the check-in with Bob Lancaster Insurance on your way to purchase a convertible. Be certain you can afford both the monthly car payments and the monthly insurance costs. It may sound like we’re trying to sway you from the car of your dreams, but we’re not. We just want you to be financially sound and protected when you’re rolling with the top down.